My Virtual Machine was running very slow in VirtualBox 4.3.28. Unbearable slow. I though I remembered running it faster, but I wasn't sure. 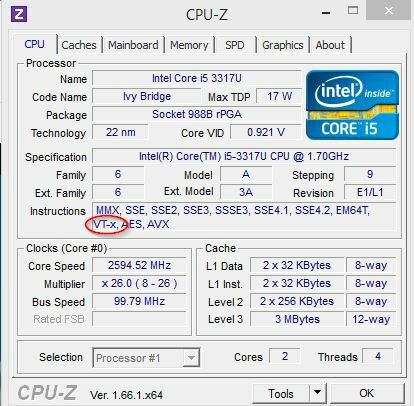 In CPU-Z the VT-x feature is missing in the Instructions list of the CPU. 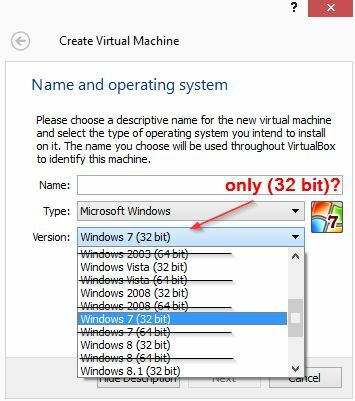 In VirtualBox's Create New dialog box only 32-bit OS are shown. 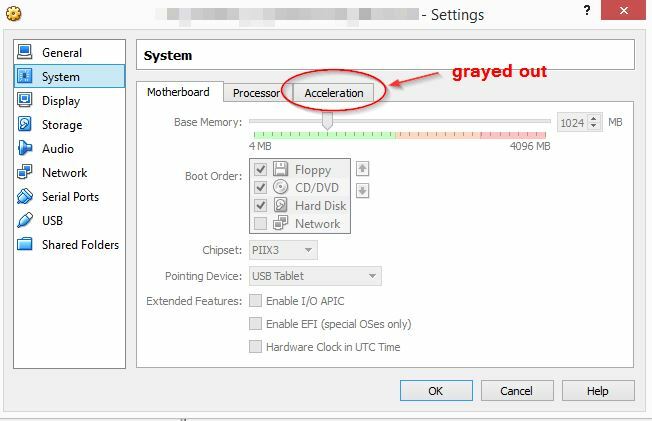 In VirtualBox's settings of an existing VM, the Acceleration tab in the System settings is disabled/grayed out. After some googling around at the wrong corners of the Internet I found this post by vonnie mentioning that maybe on my Windows 8.1 host the feature Hyper-V was enabled. I think this steals the VT-x functionality somehow for usage by itself. Disabling this feature boosted the performance of my VMs dramatically! To disable Hyper-V in Windows 8.1 go to Turn Windows features on or off via Windows' search functionality (hotkey: Win+Q). You'll have to reboot.